Disclaimer: I was given the products in this post for the purpose of review. I was not paid to write this review. All opinions are my own. Dry skin season is upon us which means I have to put a little extra effort into my beauty routine. fango ESSENZIALI, a brand new curated collection of mud and sheet masks which incorporate powerful ingredients made to “Wow” your skin. These masks deliver full results in as little as 5 minutes. All are created to MOISTURIZE, PURIFY, CALM or ENERGIZE the skin. Holistic, full-scale mineral makeup line with fashion-driven color collections and new natural skin care and supplement offerings. Developed with quality minerals and skin care ingredients that are good for your skin and create a healthy, radiant glow. 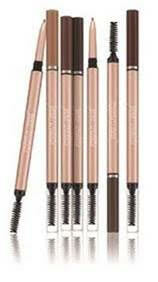 · Retractable Brow Pencils Longwearing, waterproof formula which expertly fills and defines brows with an ultra-fine 1.7 mm retractable precision tip to create precise hair-like strokes. All-encompassing lifestyle brand with clean nutrition, botanically-based skin care, hair care, cosmetic and baby SKUs. Naturopaths and doctors are available for interviews as well. · Arbonne’s personal care and nutrition formulas are vegan certified, gluten free and adhere to a strict Purity and Safety Ingredient Policy. · The RE9 Advanced Lifting and Contouring Cream Broad Spectrum SPF 15 Sunscreen formula targets skin elasticity for a firmer, more lifted appearance, and protects with a mineral physical sunscreen that provides UVA/UVB protection.